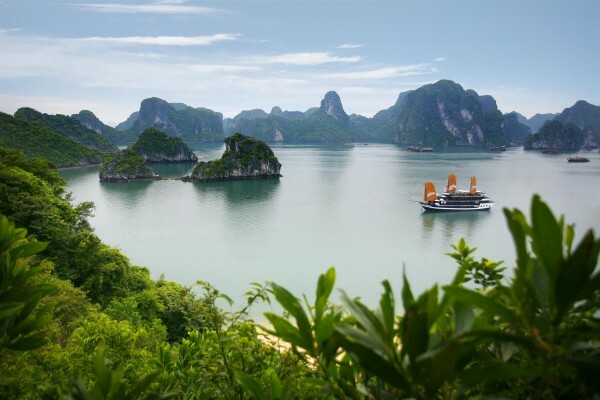 Halong Bay Travel Guide, Tips and Tours, Why should visit Halong Bay? 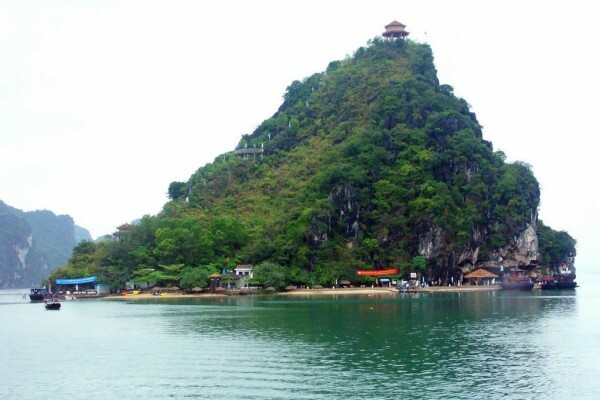 Bai Tu Long Bay occupies three quarters of Halong Bay World Heritage site and many islands in Van Don. Situated about 7-8 km south-east of Bai Chay lies the small Ti Top Island. Sung Sot Cave (Surprise Cave) is situated in the center of Halong Bay's heritage zone. Lan Ha Bay has 139 beautiful small sands. Hon Gai Harbour is on the other side of Bai Chay Bridge. Halong Bay is one of Mother Earth’s most amazing natural wonders and one of Vietnam’s most prized treasures. Dau Go Cave is on Driftwood Island. Seen from afar, the entrance to the grotto appears to be blue, and has a shape similar to that of a jellyfish. Thien Cung Grotto is a perilous one, covered on both sides by thick forest. After entering a narrow gate, the grotto’s 130-meter-long girth opens up. Ba Hang Fishing Village have about 50 families and has been living on fishing and only provide kayaking service, rowing boat, etc. Dog Rock, one sees an imposing stone slab resting on two other small stones stands blocked the way. Incense Burner Islet (Dinh Huong Islet) is so-called Lu Huong Islet. It’s located in the southwest of Dau Go Island (about 6 kilometers from Bai Chay Tourist Wharf, Halong). 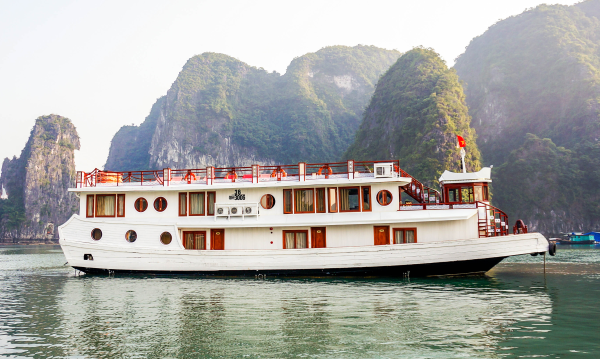 Bhaya Cruises, combining traditional oriental style with contemporary luxury facilities, excellent service and world class cuisine, provides guests with an unparalleled Halong Bay cruise experience. Halong Bay is one of the most beautiful and impressive sights in Vietnam. Oriental Sail Cruise features 18 deluxe cabins of traditional style combined with modern facilities and comfort. Halong Bay is extremely accessible and can be reached via water way or by road. Halong Bay is also a place where you can explore the different option for touring the Bay: Adventure tourism, community based tourism and eco-tourism. 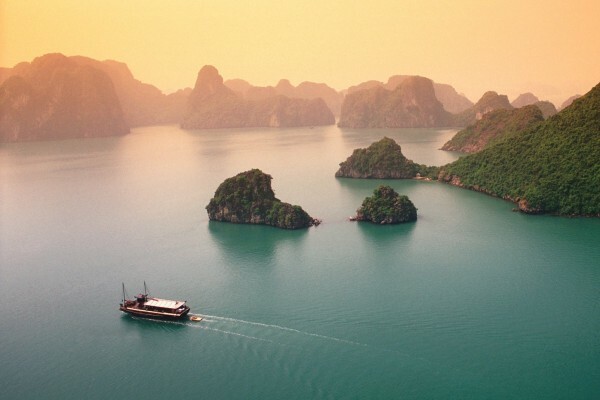 Few places anywhere rival the extreme natural beauty and serenity of Vietnam's Halong Bay. Halong Bay is one of the most breathtaking natural landmark in Vietnam. Halong Bay is far from Hanoi around 3.5 hours by bus, it is recognized by UNESCO as one of natural heritage sites in the world. Your trip to Vietnam should never miss Halong Bay because this site is the most impressive highlight which you should explore in the northern Vietnam. Why should visit Halong Bay? You could take a long or short cruise trip base on your permitted time to Halong Bay, even just one day you also could take a boat trip at here, there are many options for you to enjoy a cruise boat trip in Halong Bay such as some hours cruising, two days one night or three day two nights, on boat. But to visit full sights of Halong Bay is you should enjoy a boat trip of three days one night to discover the most interested sightseeing in this area. With a thousand different and beautiful islands, you will never feel bored to see them from your boat, each of them has the different beauty and specialist, you will have a chance to get the most beautiful photos in Halong Bay from your boat, beside that you also have a chance to swim on the small beach such as Ti Top island, or do kayaking into the caves as Luon Cave during your boat trip. 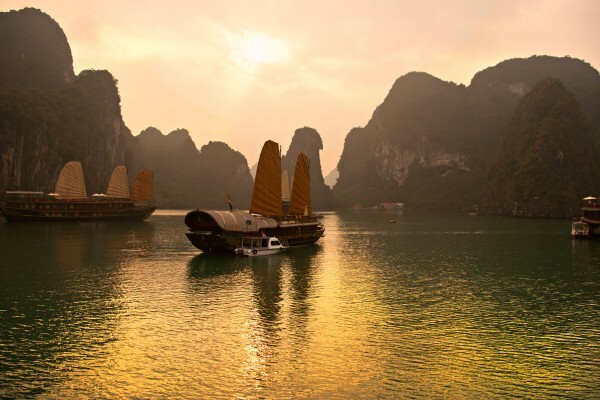 Almost of these activities is included in a boat trip in Halong Bay, so not worry. Visiting Halong Bay is also one of the your chances to try a lot of different kinds of seafood at here, if you like seafood is this is a real trip which will make you never forget. The seafood at here is very delicious, fresh and special, it is cooked by Vietnamese chief and Vietnamese style, so this is an authentic and special experience for you. If you are not a follower of the seafood, there are also a lot of another Vietnamese food which are offered on your boat, so also not worry about the food and meals while you are floating on your boat in the bay. Beside the different attractions and activities during your boat trip in Halong Bay such as exploring the most famous caves in Halong Bay as Sung Sot cave, Dau Go cave, swimming in the islands, trying the different seafood, you also have time to learn to cook directly Vietnamese dishes on your boat, this activity is very worthwhile and fun for you. How to go to Halong Bay? Halong Bay is the most famous natural sightseeing in the northern Vietnam as well as it is also one of the most popular destination in Vietnam, this famous tourist sight is not so far from Hanoi, it just takes around 3.5hours by bus from Hanoi to Halong, there are many kinds of bus and another vehicles such as motorbikes, the local bus or even by plane, arrival here you will understand why it is considered as one of natural seven heritages in the world every year. There are many options for you to choose to go to Halong Bay, it is much easier if you stay in Hanoi, so you must include this site once your trip travel Hanoi, Vietnam.